Here’s how you can install Matrix Kodi addon for your Kodi 17 / 17.6 setup in 2018. This process should only take a few minutes of your time and will work on all Kodi Krypton installations regardless of the hardware or platform it is installed on. 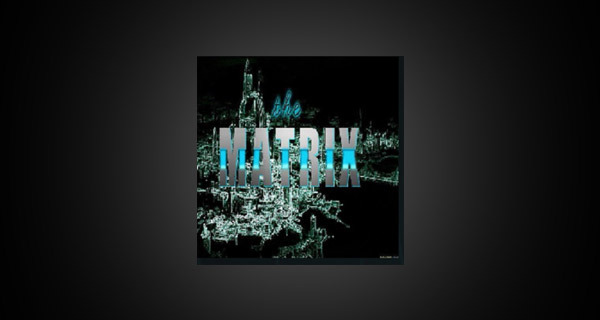 The Matrix Kodi add-on is one of those solutions which is going to appeal to a wide and diverse set of individuals. 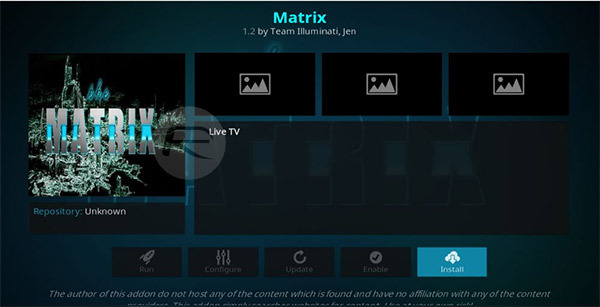 It literally opens the door to a whole host of channels and entertainment types, which users can choose by selecting either “Sports,” “Entertainment,” and more. It’s an extremely simple add-on which users should have no trouble navigating and getting to grips with. Here’s how to go about installing it right away. Step 1: First of all, select the ‘Settings‘ icon from the main Kodi home screen. Select System settings and then Add-ons to get into the necessary parts of the settings structure. Step 2: Once inside, you will see an option titled Unknown sources. Make sure that the toggle to the side of this is toggled into the On position. 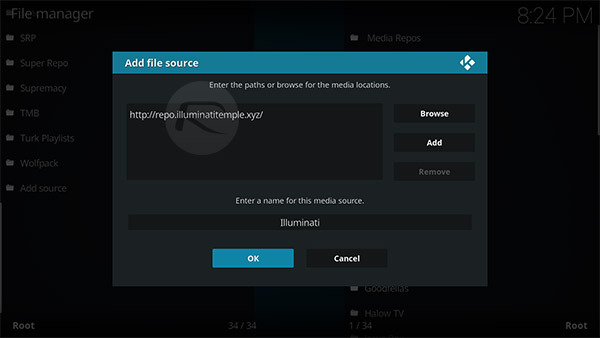 This will allow us to add new sources to our Kodi installation. Step 1: Now, back on the Kodi home screen, select the ‘Settings’ icon and then File manager. Once inside, select the Add source option to continue. Select OK to exit and then select to add a name to the new source. We will call this source Illuminati. Step 3: Select OK to exit and then head to the main Kodi home screen again. Select Add-ons and then choose the Add-on Browser icon which looks like an open box. Select Install from zip file. 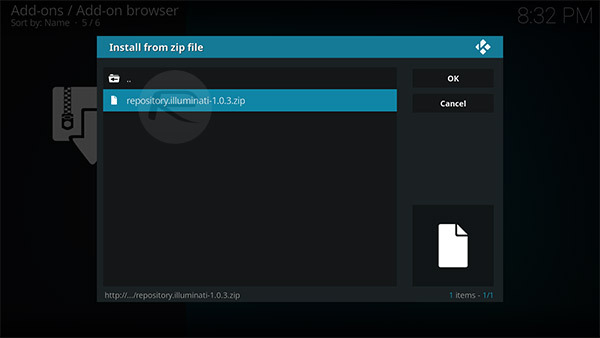 Step 4: Choose the Illuminati source that was just added and then select the repository.illuminati-x.x.x.zip file. Kodi will give you a notification to let you know that this has been installed successfully. Step 5: Head back to the Add-on Browser and this time select the Install from repository option. Select the Illuminati repository and then select Video add-ons. Toward that top of that list, you will be able to find the Matrix add-on. Select it to view its own internal page. Once you are happy, select the Install option to get it onto your Kodi installation. Once again, Kodi will give you a notification once it has been successfully installed. And that is all that she wrote. You should now be able to launch the add-on and enjoy everything that it offers. No matrix there in the videos!!! Matrix is under a new name, just look for the Illuminati symbols in the icon near the top of the repo list.